The Bob's Burgers Family Portrait 1,000-Piece Puzzle features Bob trying to handle the family chaos of Linda, Tina, Gene, Louise, and of course...Teddy. 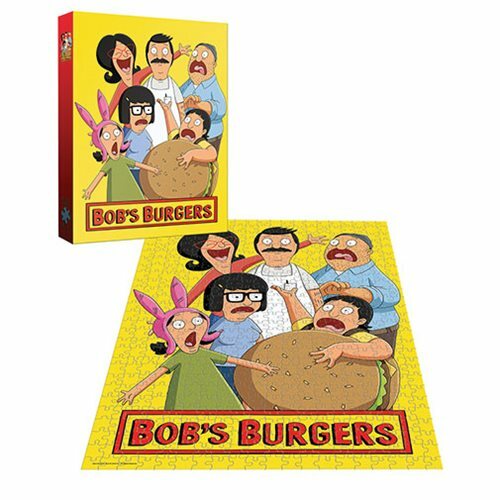 This puzzle is a must have for fans of the hit Bob's Burgers television series. When assembled the puzzle measures about 27-inches tall x 19-inches wide. Ages 8 and up.